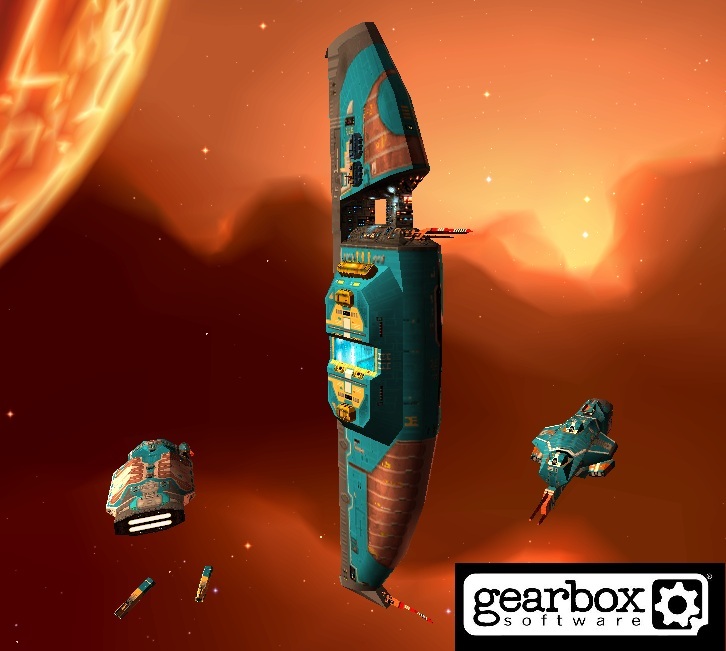 Gearbox Software has prevailed as the highest bidder in the acquisition of the Homeworld franchise from THQ. Brian Martel, Gearbox Software’s Chief Creative Officer, has great love and respect for Relic’s brilliant, fun and innovative game and personally spearheaded the acquisition. That last section immediately caught my eye. Ever since word of the auction first broke, I’ve been fruitlessly searching for copies of Homeworld and its sequel in local stores because they can’t be purchased digitally through my usual stalwarts such as Steam or GoG. If Gearbox does follow through on that promise, that would be amazing – for series fans, certainly, but more so for all the people who’ve never played Homeworld and would now have access to it. Homeworld Step 1: Bring solid, pure builds of the original game and sequel to modern digital PC platforms. We love you Relic!! Now, however, we have to return to that Damocles question. The truth is, Gearbox Software’s accomplishments speak for themselves. From the early Valve days spent making the acclaimed Half-Life expansion packs and working on CounterStrike to finding original IP success with Brothers in Arms and Borderlands, they’ve been walking the walk for quite some time. However, their recent record – especially when they’ve taken responsibility for an established license – is not encouraging. In 2010, Gearbox announced that they had taken over work on Duke Nukem Forever, which had spent 14 years in development hell. The game released the next year, was critically slaughtered and found itself on a number of ‘Worst of 2011’ lists. In 2006, Gearbox and Sega announced a first-person shooter set in the Aliens universe. 7 years later, that game would release as Aliens: Colonial Marines. Labelled shoddy and unfinished, the game was an unmitigated disaster at retail. Amidst accusations of mismanagement, it was revealed that Gearbox had outsourced large portions of the game’s development to other studios in order to meet the release date deadline. None of this is conclusive, of course, but it is worrying. Add in the fact that Gearbox owns the license by virtue of outbidding Stardock, makers of arguably the best space game out there currently, and Sega, who contain Relic Entertainment, the makers of the original Homeworld; and you’ve got a recipe for unrest among the natives. Unlike a lot of other fans out there, however, I think it’s way too early to condemn Homeworld 3 (a game, let’s not forget, that hasn’t even been announced yet) as an inevitable failure. Personally, I like Gearbox and I like Randy Pitchford. I’ve loved a lot of their work, and I’ve sunk more hours than I care to admit into the Borderlands games. I’d like nothing more than for this acquisition to be the beginning of a resurgence that sees Homeworld restored to its rightful place at the pinnacle of real-time strategy. If there’s any justice, that will come to pass and one of the seminal space strategy games of our time will live on. As we know all too well, though, justice doesn’t have a whole lot to do with it. I should point out that this isn’t intended to be a prophecy of doom. It’s important to remember that the resurgence I spoke of may yet happen. Just…don’t hold your breath. Because that would be stupid. Posted on April 23, 2013, in News and tagged Aliens Colonial Marines, Borderlands, Duke Nukem Forever, Gearbox Software, Homeworld, Homeworld 2, Homeworld 3, Paradox Interactive, Relic Entertainment, RTS, Sega, Sierra Entertainment, Sins of a Solar Empire, Space, Stardock Systems, Strategy, THQ. Bookmark the permalink. Leave a comment.